Nicola holds the C.I.D.E.S.C.O. Diploma (Hons) – a highly recognised International qualification – the C.I.B.T.A.C. Diploma and the Advanced Electrologist Diploma in Red Vein, Skin Tag, Wart and Hair Removal. This is a specialised treatment for the safe removal of red veins, warts, skin tags (loose fibrous tissue which is soft and moveable), spider naevi (central dilated vessel with small capillaries radiating from it) and red blood spots from the face and body. 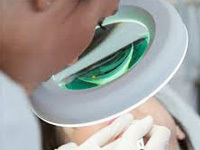 A free confidential consultation is necessary before any treatment.